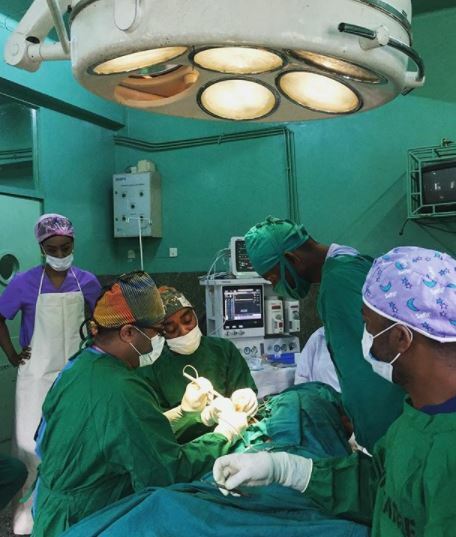 Mnazi Mmoja Hospital (Stone Town, Zanzibar) December 2017 Surgical Training Trip. 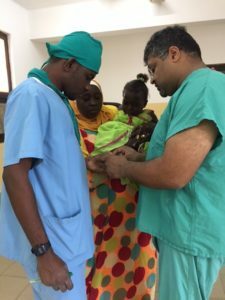 The December 2017 training at Mnazi Mmoja Hospital marked Mission: Restore’s fifth surgical training trip with the government referral hospital in Stone Town, Zanzibar. Three local surgeons: Dr. Said, General Surgeon; Dr. Amria, Registrar; and Dr. Juma, Registrar, operated alongside Surgeon Trainer, Dr. Syed Sayeed. Dr. Syed Sayeed is based in New York, USA and is a Plastic & Reconstructive surgeon specialist whose expertise lies in addressing complex burn injuries and hand reconstruction. Together, the team operated on twelve patients, doing multiple complex procedures for five of these patients who faced multiple burn injuries across the body. Throughout the week local surgeons performed skin grafts, z-plasty and contracture release procedures of the flexors/dorsal, upper & lower extremities, axilla, face, and neck, wound debridement, scar excisions, mastecomy procedures and a rotational flap procedure. Dr. Syed Sayeed presented a lecture on surgical management of the non-healing wound: from debridement to flap placement, and discussed case studies with surgeon attendees over the course of two morning lecture meetings. The team of surgeons consulted with 32 patients overall. Five of these patients had been operated on 6-12 months ago at previous Mission: Restore trainings and returned for follow up physiotherapy care and overall evaluation of progress since surgery.